Busy Bees Day Nursery was proud to support KidsOut with their Giving Tree appeal for Christmas 2017. "Christmas is an exciting time for all children, but it can be difficult for those escaping domestic violence. While kids all over the country receive dozens of gifts during the holiday season, children living in refuge may not even expect to have one. Having already left their home, toys and all that is familiar, we at KidsOut believe that these children deserve more and through Giving Tree work to give them a Christmas to remember. 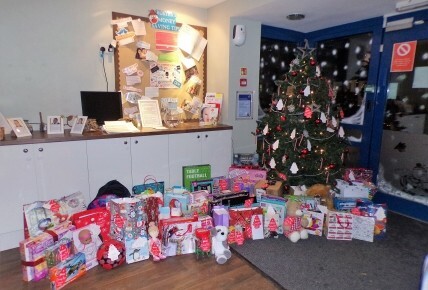 Through the Giving Tree KidsOut are able to distribute a toy to every child living in a Women’s Aid Federation refuge during the festive period throughout the UK". Christmas tags were on display on the nursery's Christmas Tree from Monday 27th November. The number of tags slowly dwindled and the number of presents boomed. Staff and parents alike put in a great effort and we managed to completely clear our stock of red present tags, with an amazing 105 presents collected! 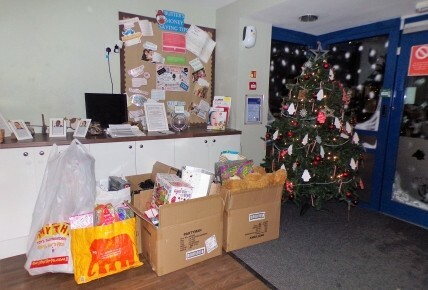 The presents were loaded up and then delivered to KidsOut in Leighton Buzzard, Bedfordshire on Friday 15th December. We were overwhelmed with the generosity shown and hope to be able to support this brilliant cause again in the future.